I don’t believe I’ve ever felt more present and alive than when walking with small groups of people in the African wilderness. The experience is at once magnificently beautiful and incredibly edgy. At one moment you might be feeling isolated, peaceful, and relaxed. The next moment you encounter a pride of lions, some elephants, or a herd of buffalo and the situation changes. Under these circumstances, people work instinctively as a team. I learned five lessons about teamwork from my experience tracking lions in Zambia that cast light on what is required for the best team-based collaboration. From the moment the group leaves the safety of the bush camp, it is working as a team. Our guide gave us strict instructions about how to collaborate in the bush. We proceeded in single file. The scout, armed with a hunting rifle, walked at the head of the group with the guide. Often we had a trainee scout with us, who took the rear. We were told that when we came across lions or any other large animals, we were to pull together in a group. If charged by a lion, we were to huddle closely together, make ourselves look as big as possible, and yell. Never, under any circumstances, should we break from the group and run. Lions typically don’t prey on human beings, but give them a lone, fast-moving object, and they become like a house cat with a mouse. One of our guides told us a story about a young Spanish woman he’d led on a bush walk. Her English wasn’t good – perhaps she failed to understand the instructions – but when they encountered lions she panicked, broke from the group, and ran. The lion immediately went after her and the scout was forced to shoot it dead. Failing to collaborate in the wild puts humans and other animals at risk. It is vital when the group leaves the bush camp, the members of the group are able to collaborate as a team. Collaboration and trust go hand in hand in this environment. It is not safe to walk in the bush unless people can trust one another to collaborate. The members of the team need to be able to trust one other to act responsibly and pull together when required. They also need to be able to trust themselves to keep their cool and follow instructions. Lose your head in the heat of the moment and it may not be the only thing you lose. One feels a profound sense of responsibility walking in the bush, underpinned by the awareness that ‘we are all in this together’. In addition to trusting oneself and the other members of one’s team, one needs to trust the scout to stand their ground in dangerous situations. The scout is the only person in the group with a rifle. If they lose their nerve and, say, scoot up a tree when charged by an aggressive animal, there is nothing standing between you and primal fury. 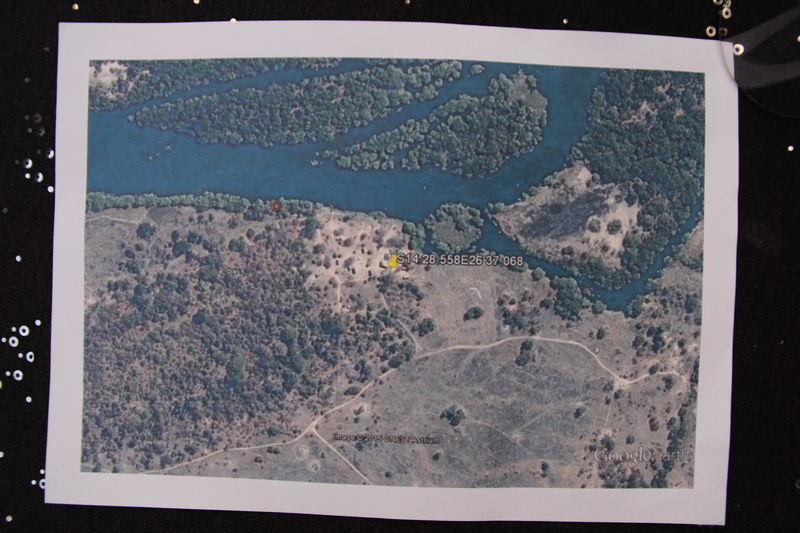 We were reminded of how we depended on our scout on our first day walking in North Luangwa Park. We were watching a hippo lounging in a lagoon when suddenly it rose out of the water and charged. ‘Run!’ our guide yelled. We took off after him across the savanna. Fortunately, Justin, our scout, kept his cool. I glanced back to see him fire a shot into the ground just ahead of the hippo as it burst from the lagoon. The hippo took fright and motored off at an incredible pace. Watching it go, I realised that we’d had no chance of outrunning it. If not for Justin, we’d have been gored and pounded into the earth. While teams in the workplace rarely (if ever!) contend with the threat of imminent death, they need to trust one another in order to work in an agile and adaptive manner. Agile teams self-organise by autonomously selecting chunks of work to be completed within set time-frames. Without a leader managing the workflow, it is up to the team members themselves to ensure the work gets done. Each member of the team needs to be able to trust the others to deliver on their responsibilities in order to have faith in the effectiveness of the team as a unit. Without this trust, team morale suffers, commitment to the work declines, and the team will ultimately fail to function. Ownership emerges naturally in collaborative teams bonded by trust. Individual team members assume ownership by demonstrating their commitment to play a leadership role. I assumed ownership on a walk in Kafue National Park when we ran into a pride of lions. We had been tracking the lions from a grisly buffalo kill (see insert). The tracks led back along the river under some magnificent trees, and as we walked, the group’s attention was momentarily captured by a bird in the branches above. I confess I have little interest in birds, no matter how large and colorful they may be. I was, however, fascinated by the yellow log that lay in the clearing just ahead of us. When the log rolled over, revealing a large paw, I realised why. ‘Lions!’, I hissed. Immediately, the clearing exploded into life. An adult male lion burst up and roared, shielding the retreat of three females that dashed into the bush. Then he was gone as well. We were lucky the lions were sated and dozy. Things might have gone badly, in other circumstances. I walked away feeling proud to have taken responsibility for the well-being of the team, playing the role of spotter and scout. In agile teams, everyone is ready to step up and lead as the situation demands. This is what it means to take ownership of the work and responsibility for the team. When the vital signs of teamwork are low, people may follow the instructions they’ve been given, but they don’t tend to think outside the box, and they are easily confounded by upsets. Resourceful people, by contrast, are always experimenting with new ways of doing things, and they are rarely stumped when something prevents them from moving ahead. Resourcefulness involves thinking laterally about the tools and means required to get a job done. Resourceful people are natural innovators. These are the best people to have on a team. I remember discussing my work on innovation one night around the campfire, and remarking how the topic seemed out of place in the bush. The guide pointed out that this was far from true. People who survive in remote locations are resourceful as a matter of necessity. If a tool breaks or the material required to complete a job is missing, the local people find some other way of doing things. Life in the bush promotes an abundance mentality. Every tree and plant has some use-value. A tall tree is not simply a tree: it can be a hide for watching animals, or material for a house or canoe, or else the bark can be used as medicine. One day on a walk, our trainee scout, Julian, demonstrated how the local people light a fire using two sticks, a leaf, a nut, and some hippo dung. In Julian’s tribe, the young men must demonstrate that they are capable of lighting a fire before they are allowed to get married, offering a powerful incentive to resourcefulness. The fifth thing I learned from tracking lions in Zambia is the value of process. A shared sense of process is vital for teams operating under conditions of uncertainty. In uncertain, volatile conditions, situations can change rapidly, and without a clear sense of process, it is easy for the team to become lost and confused. In our bushwalks in Zambia, we maintained a sense of process with respect to how to behave if threatened by animals, as well as a sense of the process of the walks themselves. Each walk was a set number of hours. We would follow the guide’s instructions at all times. Even if we didn’t see anything on the walk, we would return to camp at the set hour and consider it time well spent. Process is valuable for agile teams in creative environments. When a team is tackling a complex task, it helps to have a clear sense of the process that is being followed. This is one reason why practices like design thinking, agile/scrum, and lean startup method have become so popular in recent years. By following these kinds of processes, teams are able to monitor how they are moving through the work irrespective of how the work itself is going. The team might reach the end of the process and acknowledge that it has failed to complete the task. Nevertheless, by completing the process, they are able to discern forward momentum. Ideally, at this point, the team will apply resourcefulness and try a different approach for the next iteration of the work. Collaboration, trust, ownership, resourcefulness, and a shared sense of process are vital for effective teams. These lessons hold true for the workplace as much as for the wilds of Africa.